Having worked with the Arnold Sports Festival as its exclusive provider of lighting and staging systems for over 20 years, Live! Technologies, LLC. recently took the show to a new level with an array of lighting elements from HARMAN’s Martin Professional. The Live! 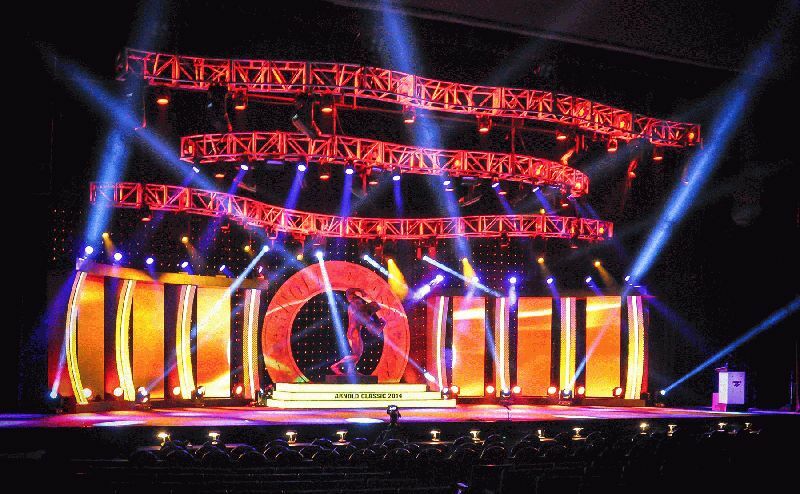 Technologies team, including Michael Farrell, Business Development and Marketing Executive, and Michael Hesmond, Lighting Programmer, deployed a rig of over 100 Martin lights including 12 Viper Performances, 12 Viper Profiles, six MAC III Performances, 36 MAC Auras, 22 MAC 101s, 12 RUSH MH3 Beams, four Atomic 3000 DMX strobes, 60 EC-10 video panels and one P3-200 Video Processor/Scaler. The Arnold Sports Festival 2014 took place in Columbus, Ohio in early March, and featured over 800 exhibitors showcasing the latest sports equipment, apparel and nutritional products. The main stage was the center for non-stop entertainment and competitions, featuring premier body building athletes including Zydrunas Savicakas, Dimitar, Michael Burke and of course, Arnold Schwarzenegger.